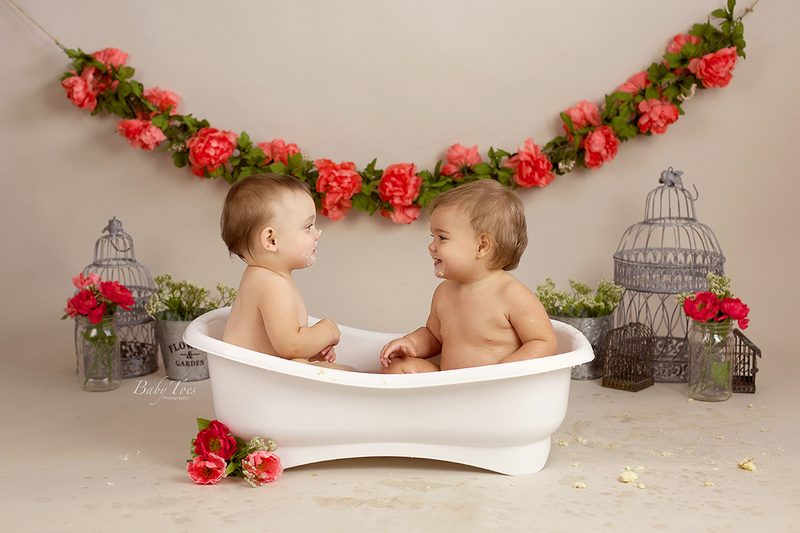 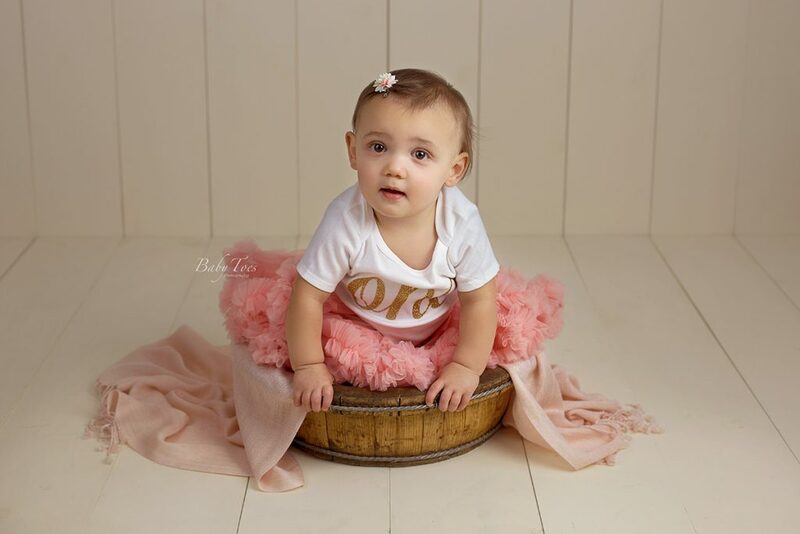 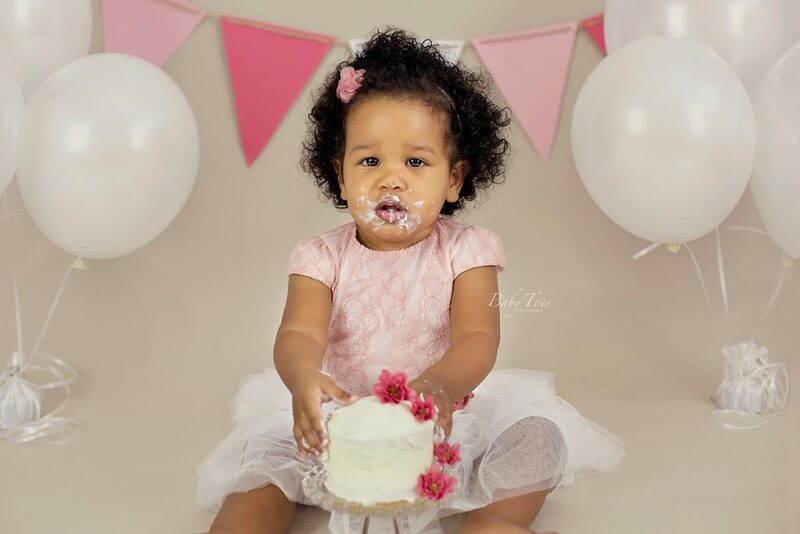 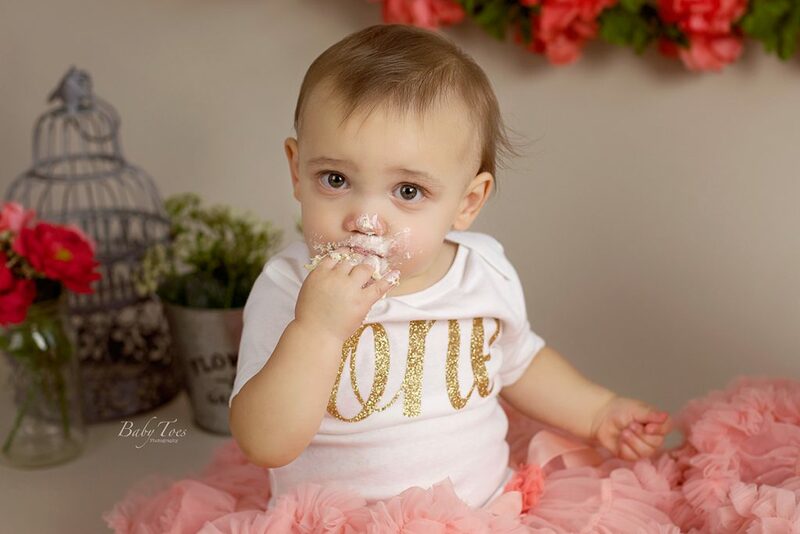 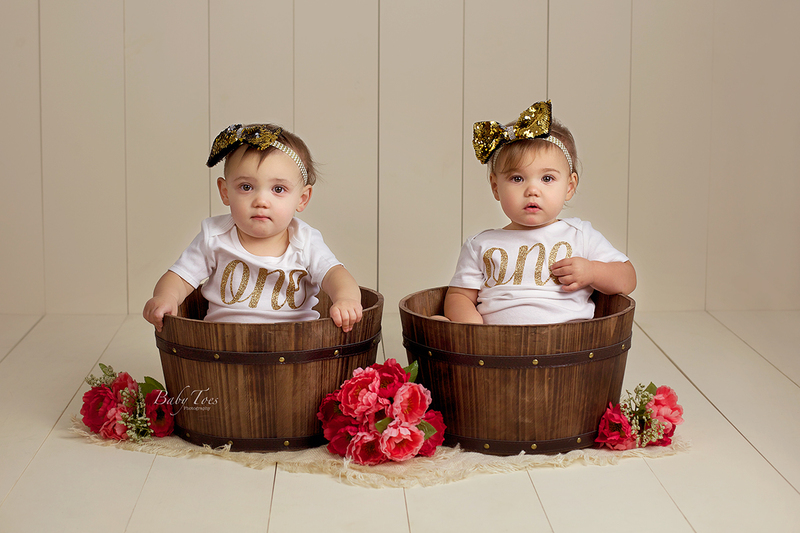 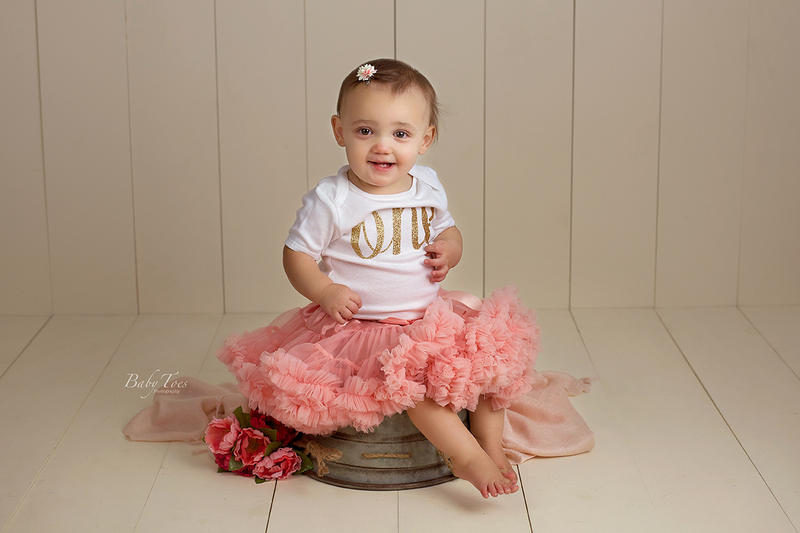 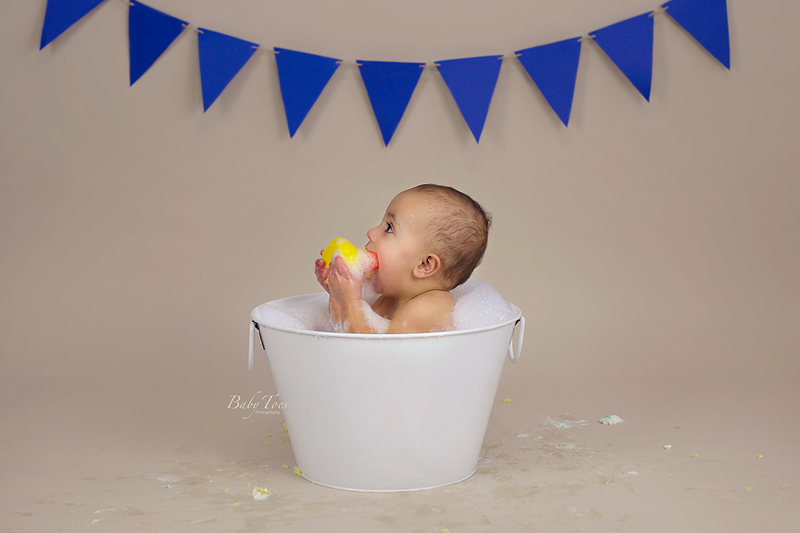 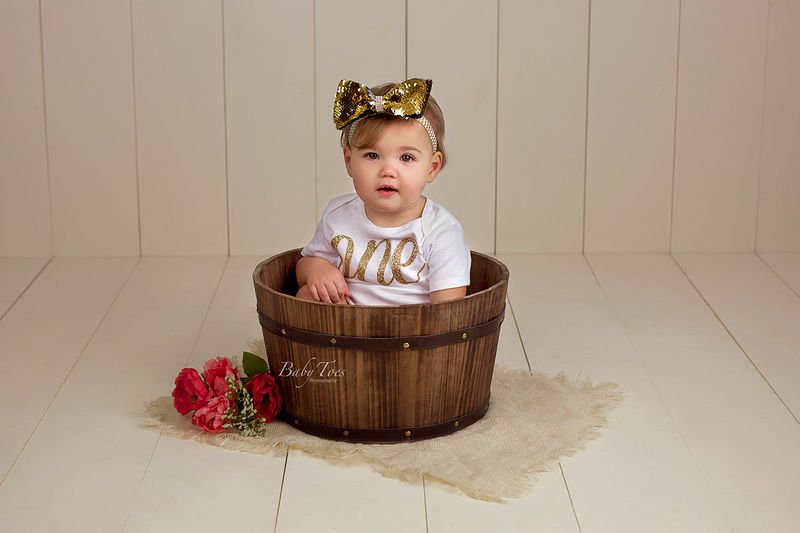 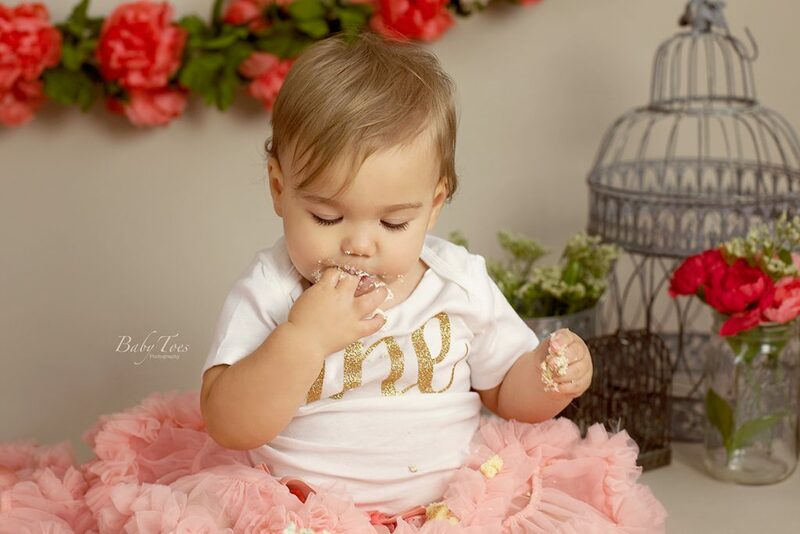 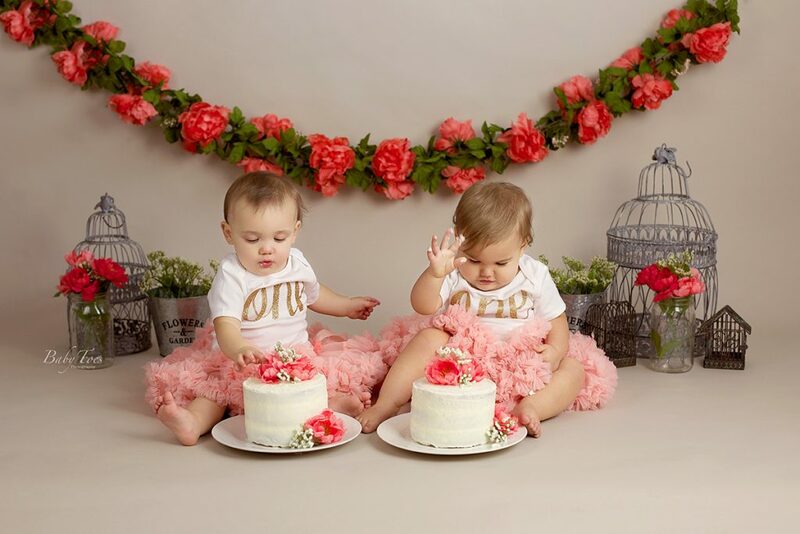 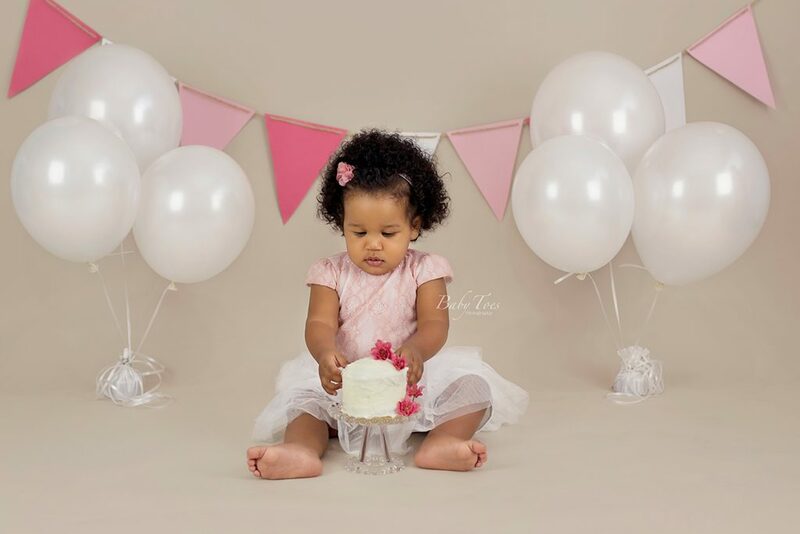 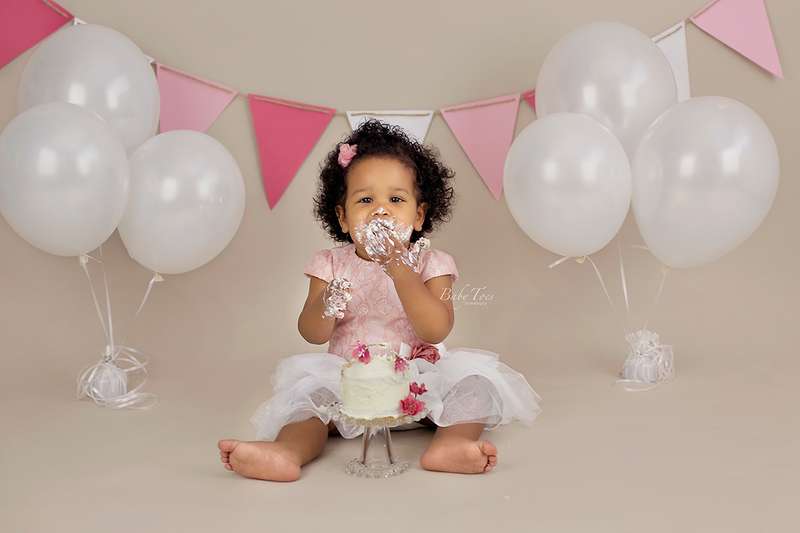 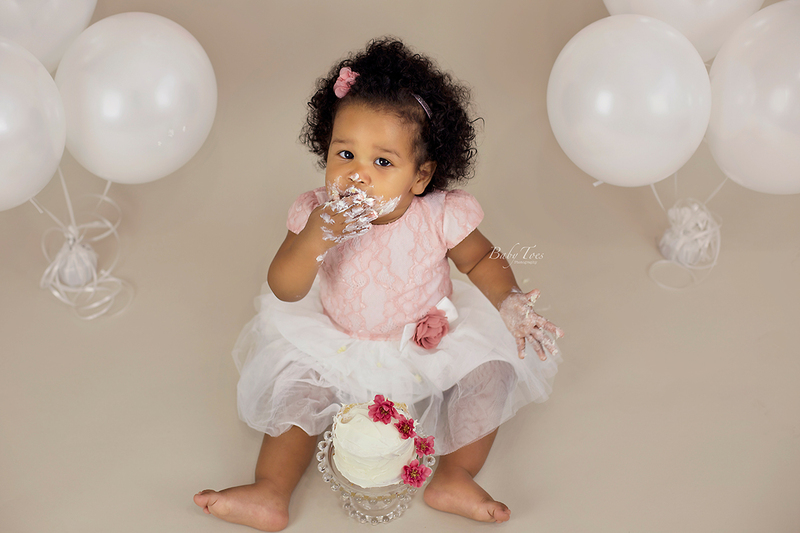 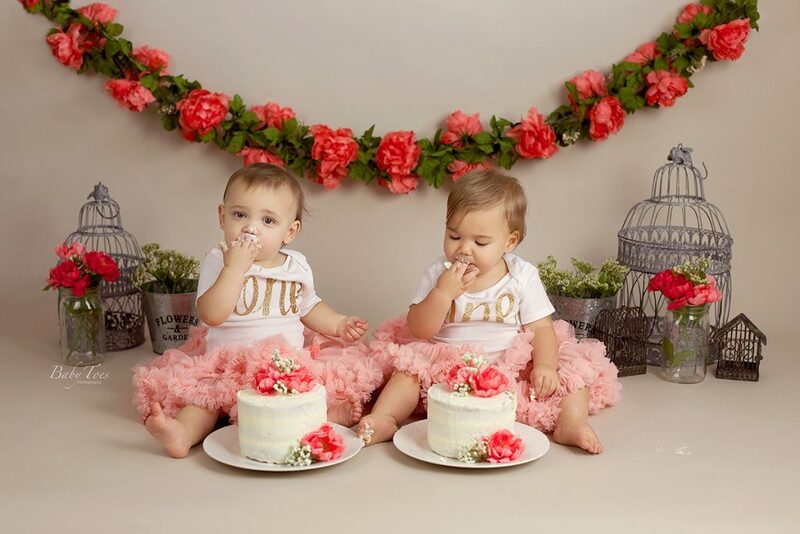 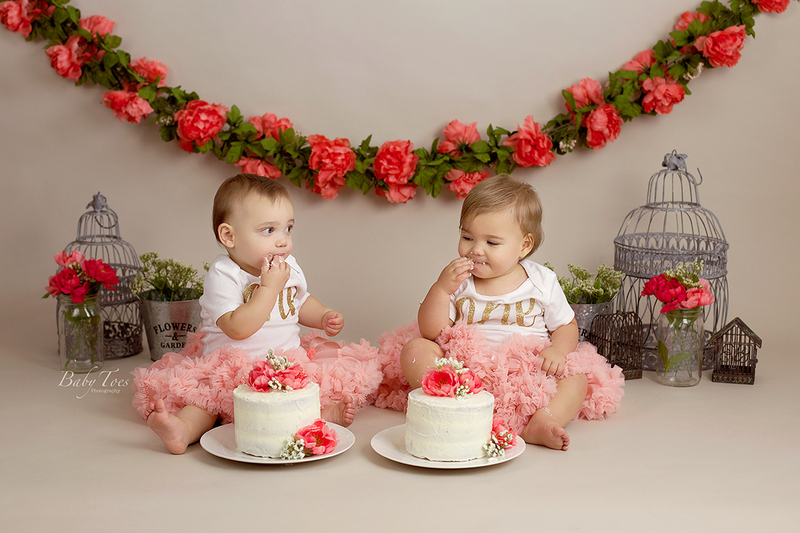 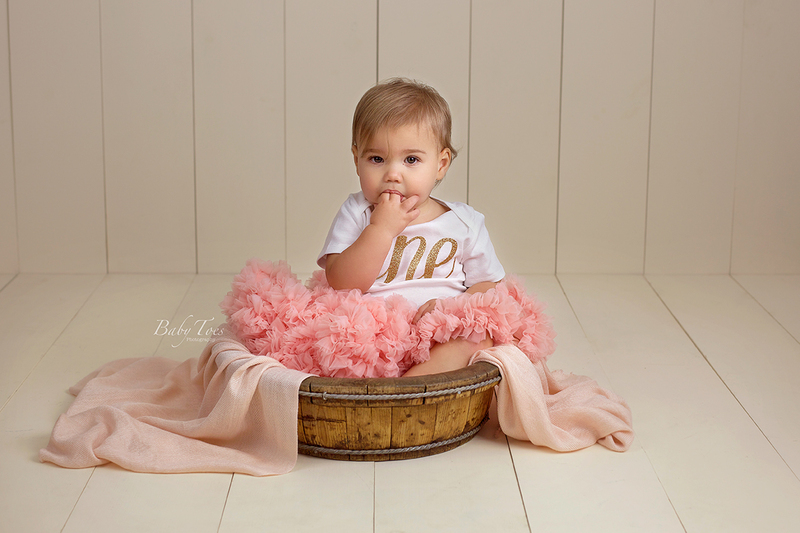 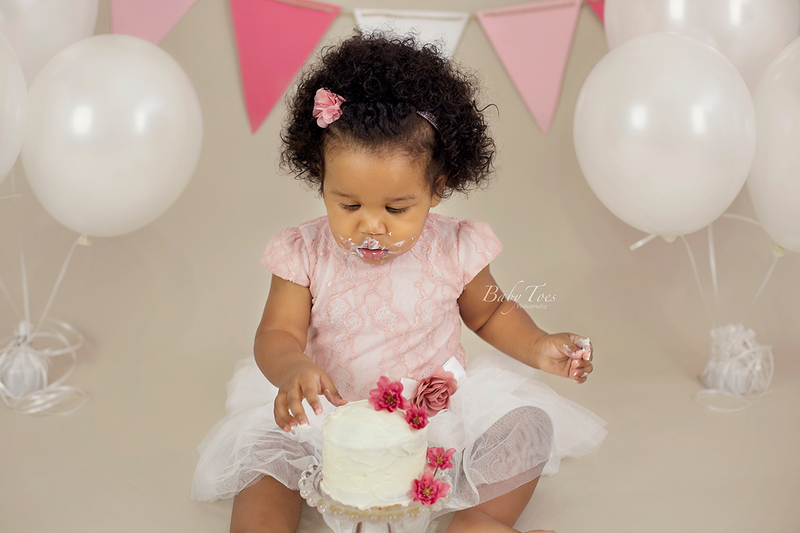 I had the honor of photographing this sweet girl as a newborn and then again for her first birthday. 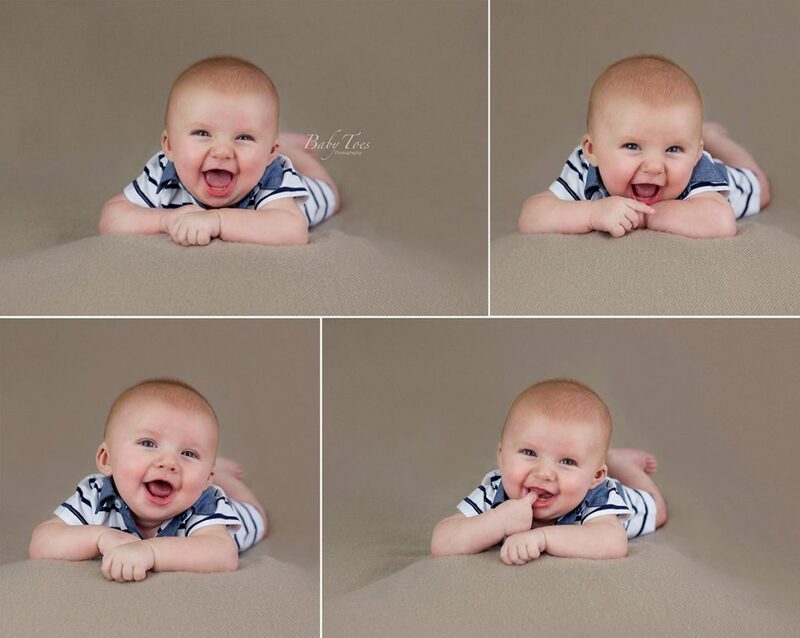 I love it when I get to see these little ones again! 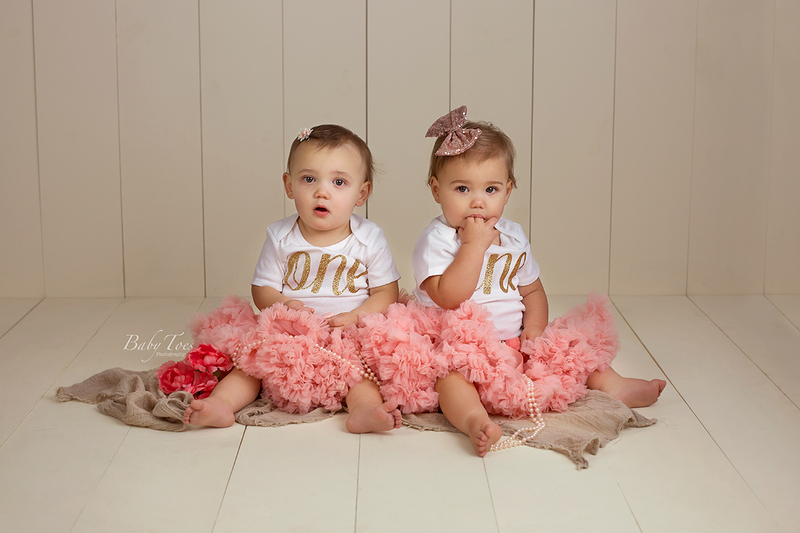 They change so much in such a short period of time. 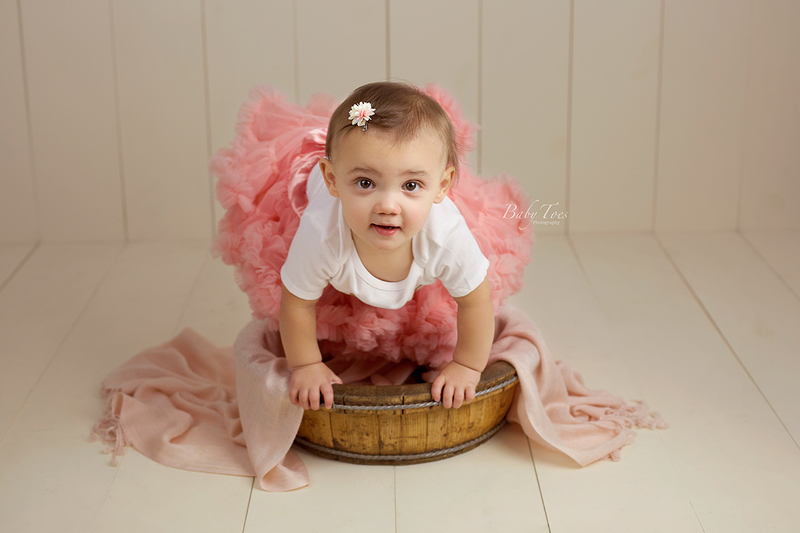 She also gave me a good reminder of how important it is as a baby photographer to be flexible. I could tell toward the end of the session that she really needed a nap. 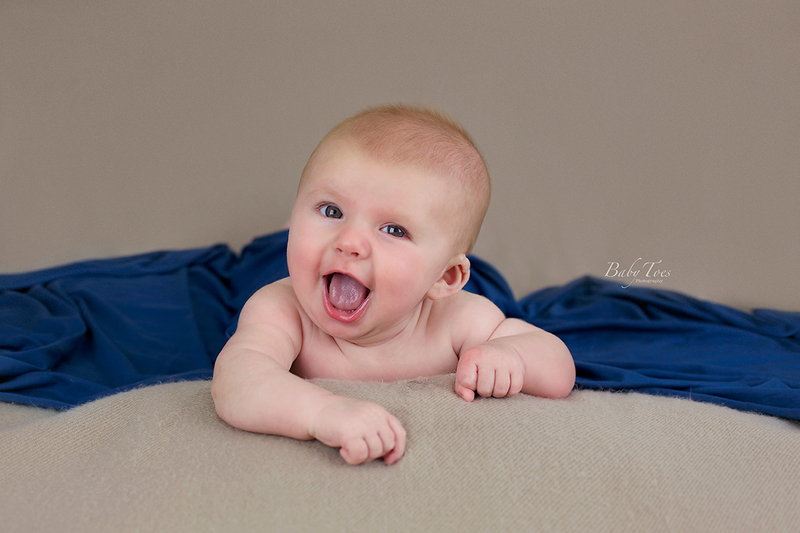 We decided to postpone the rest of the session until later in the day. 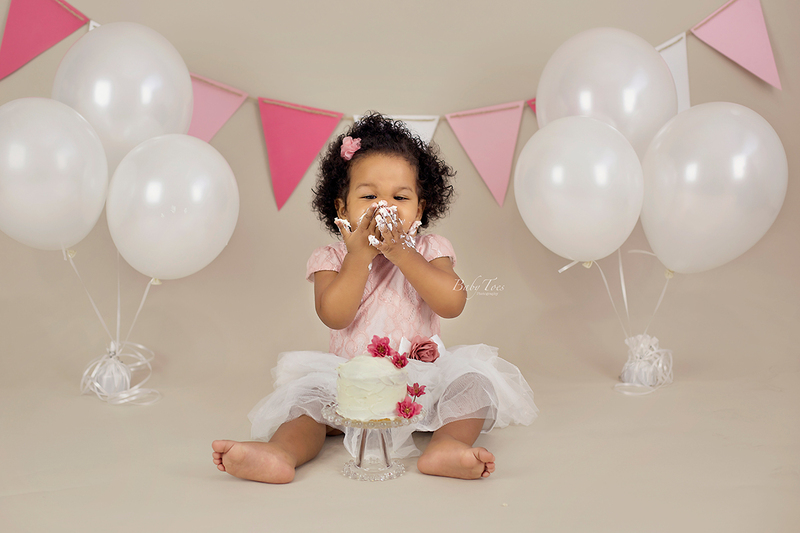 Amelia returned to the studio well rested and ready for cake. 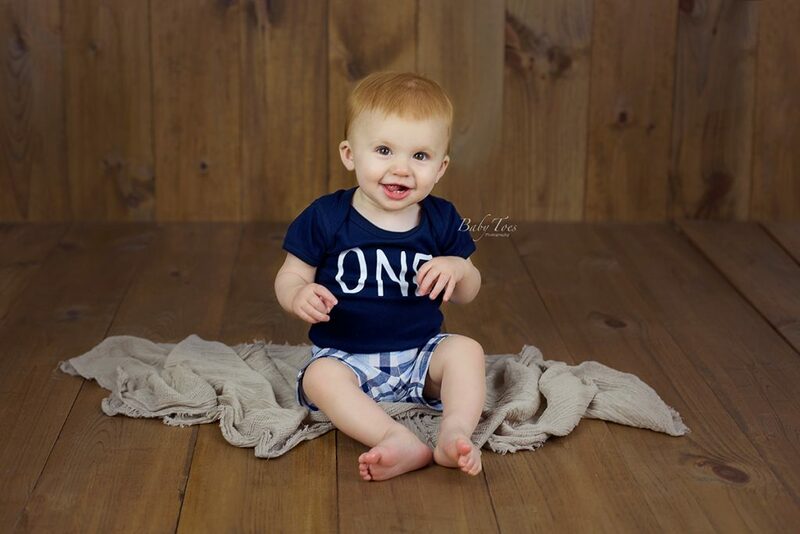 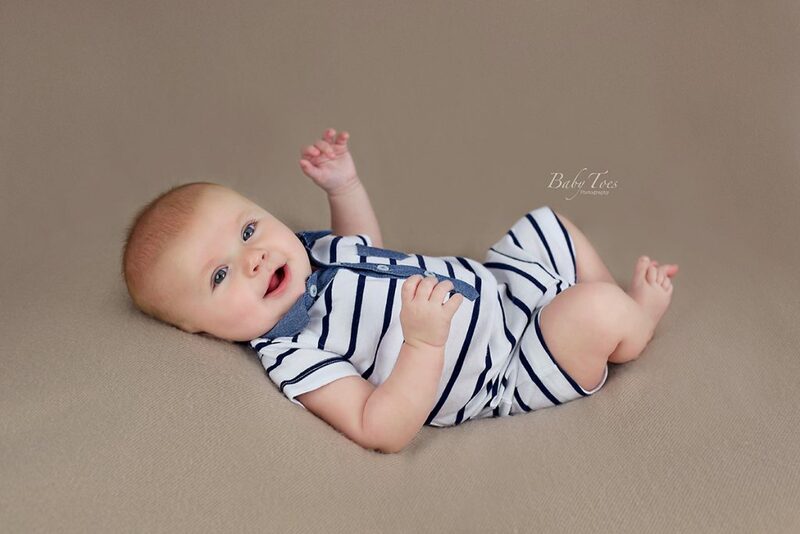 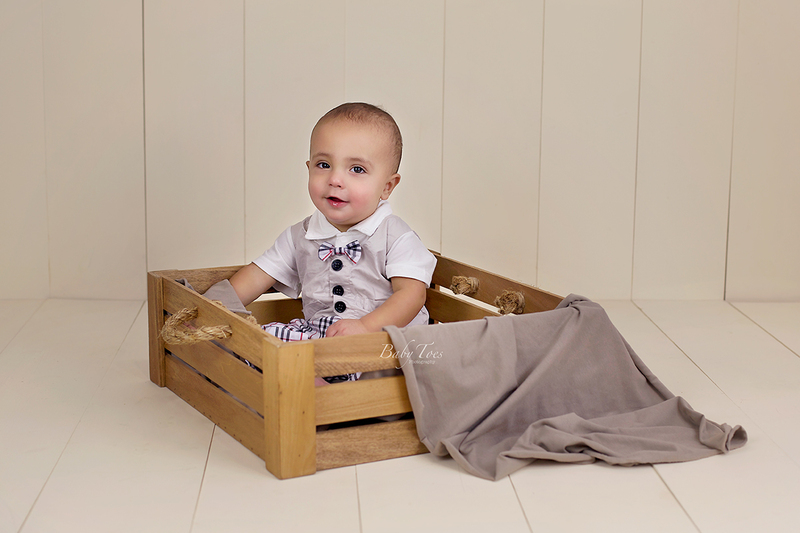 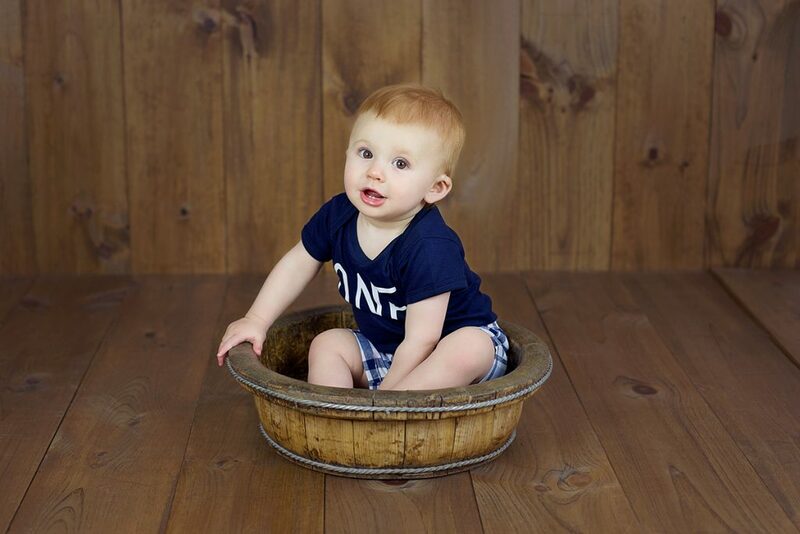 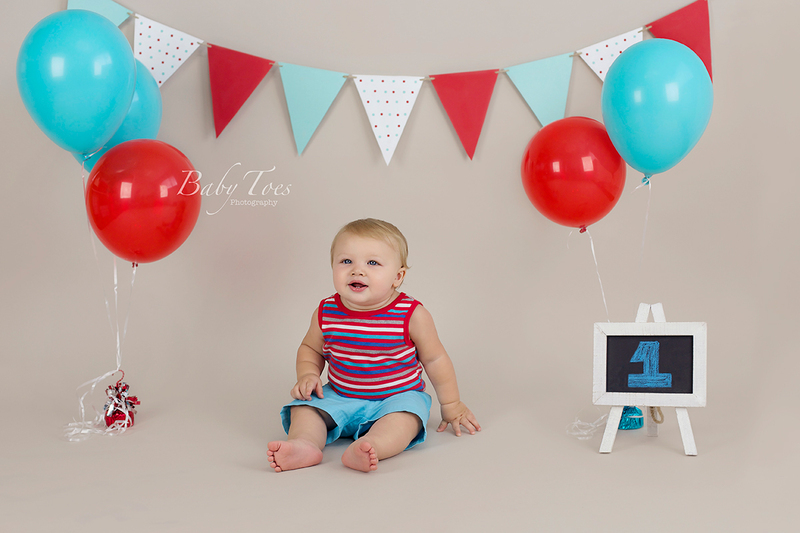 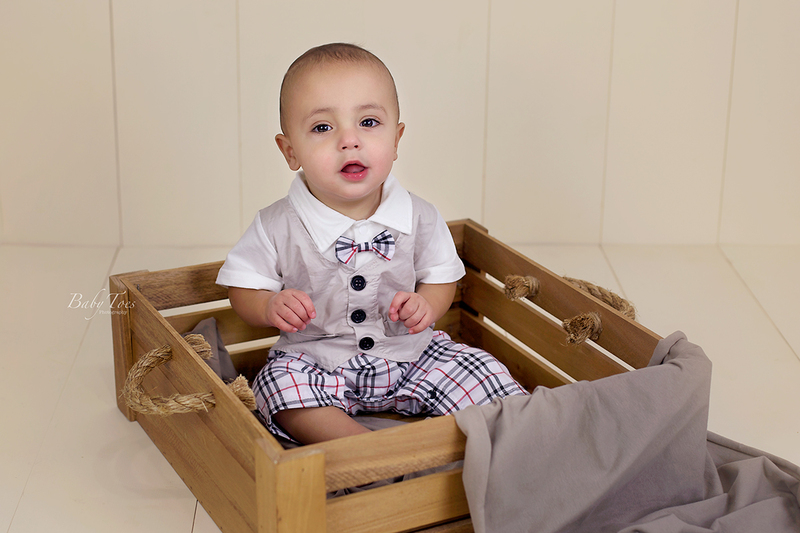 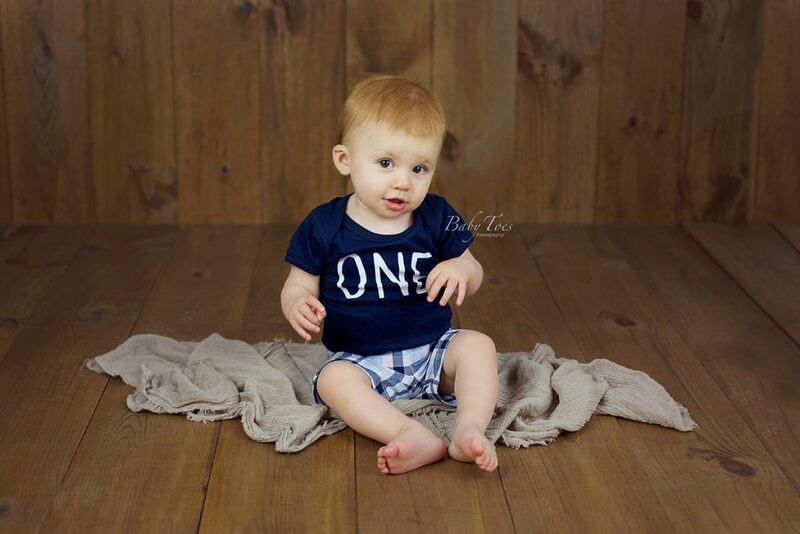 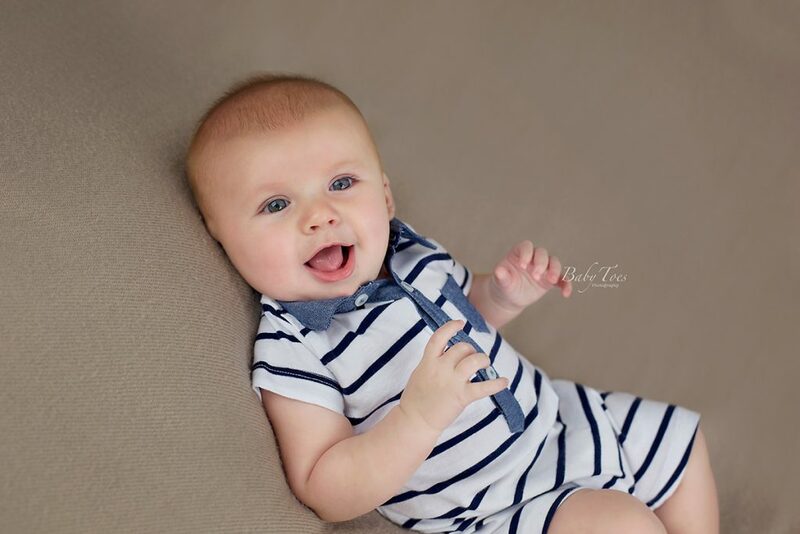 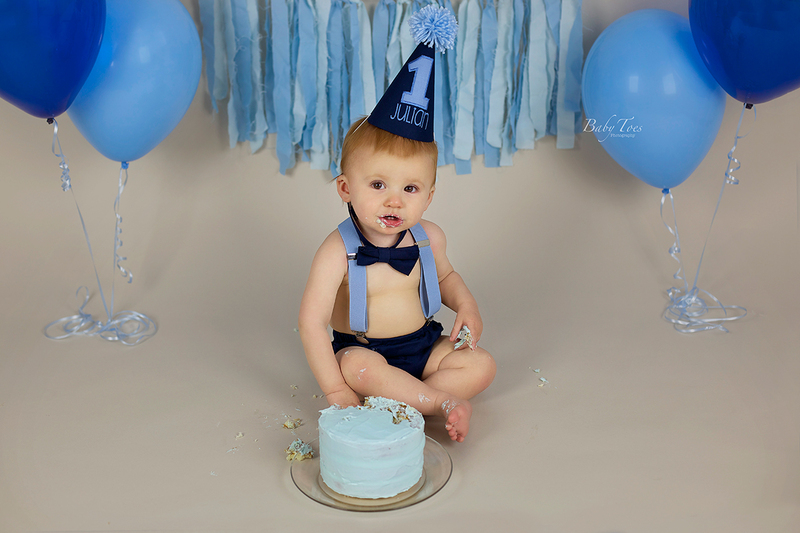 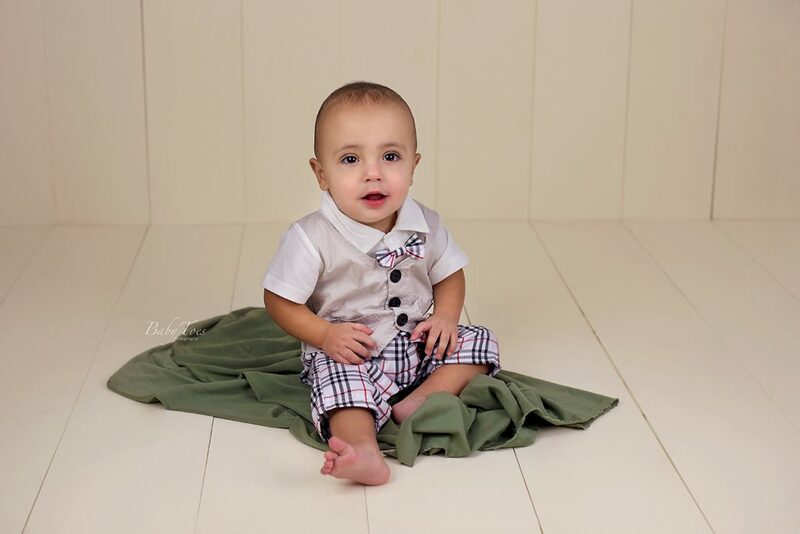 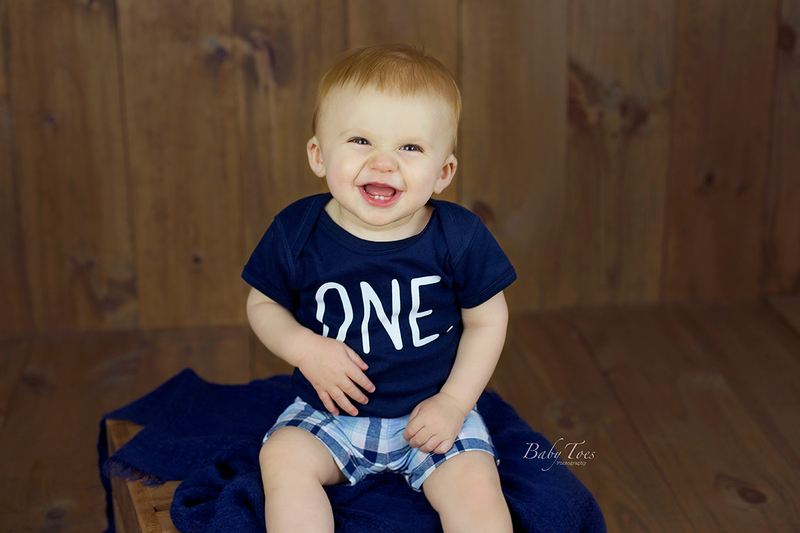 This handsome little fella came to see me for his One Year Milestone Session. 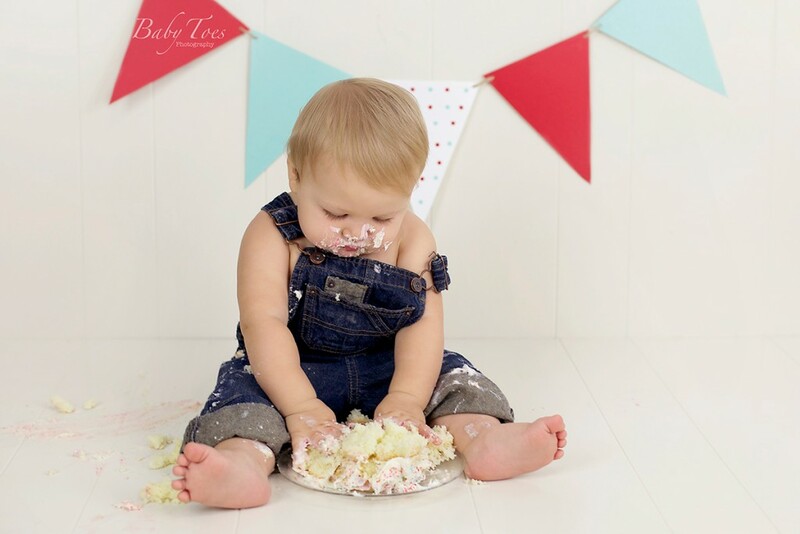 He had me laughing so hard during the cake smash! 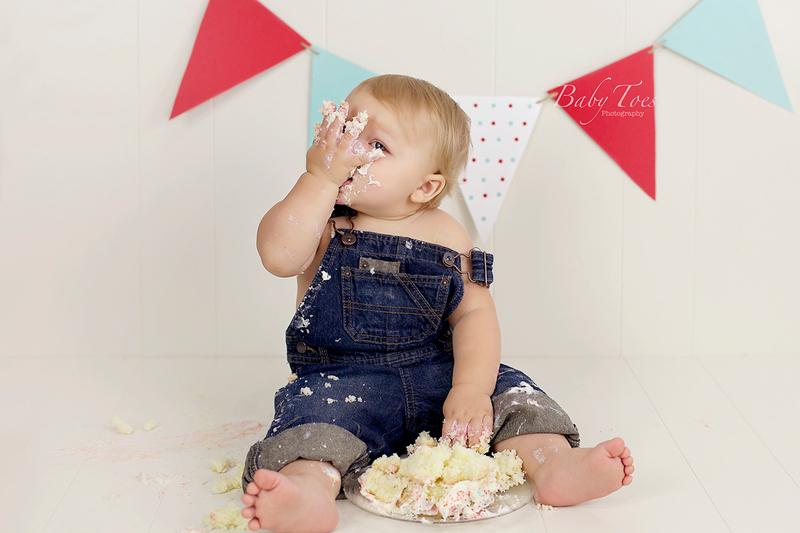 He literally smashed the cake with his hands, put his foot in it and even licked the plate. 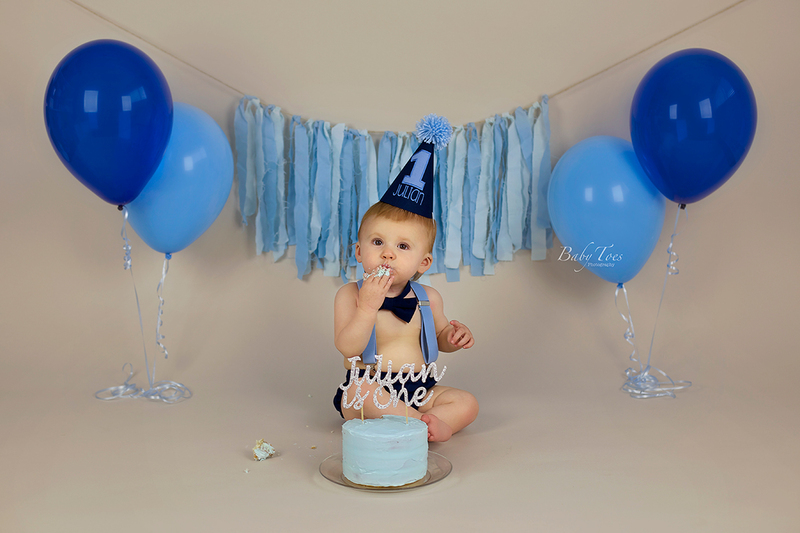 It was quite entertaining and definitely one of my favorite sessions. Happy birthday Aiden! Meet Max and his little red balloon. 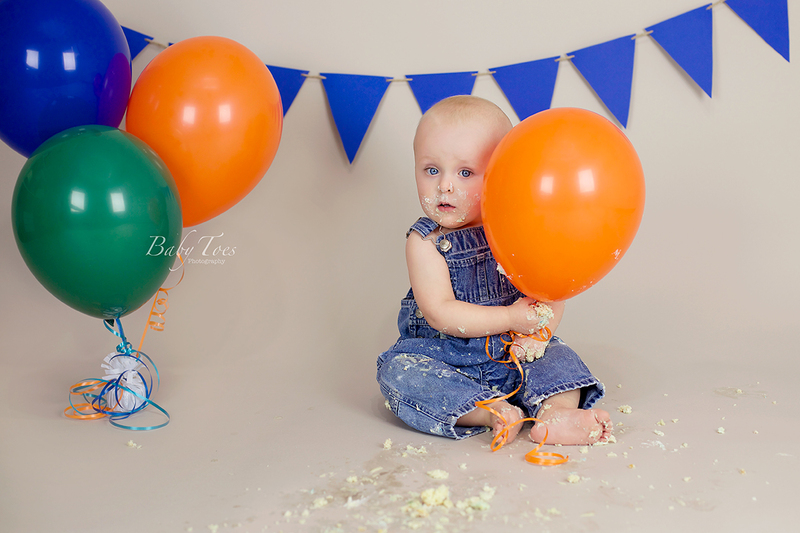 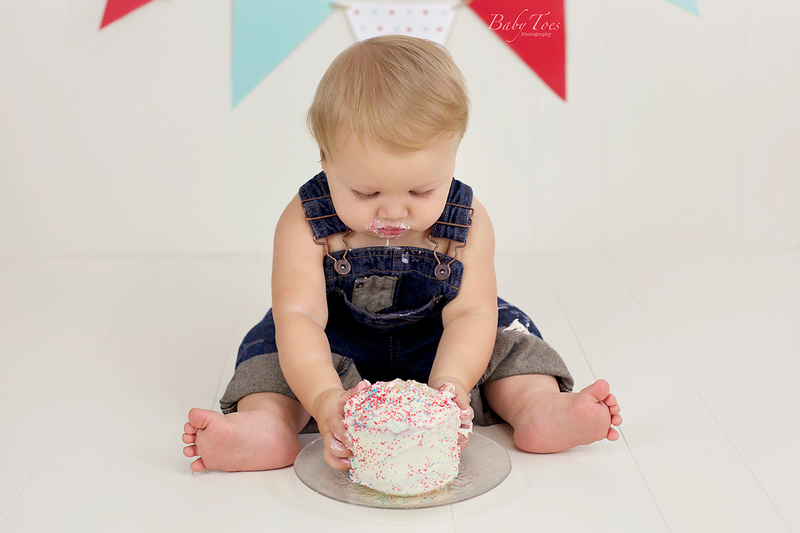 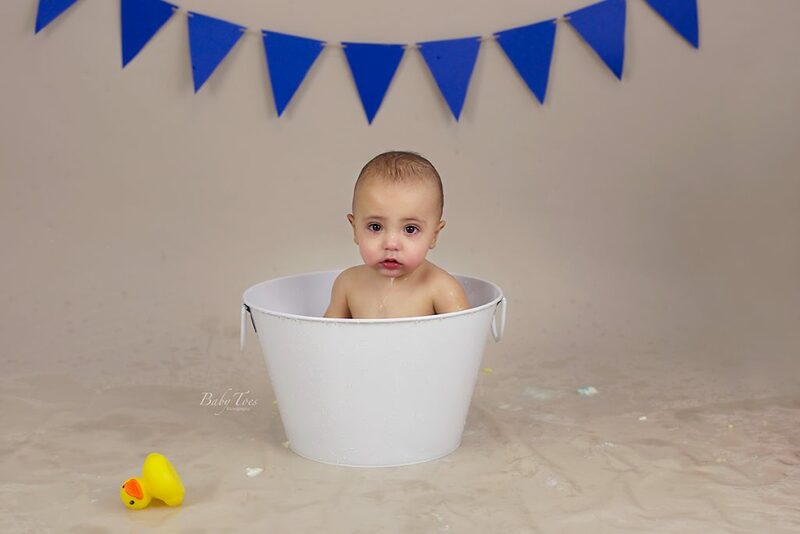 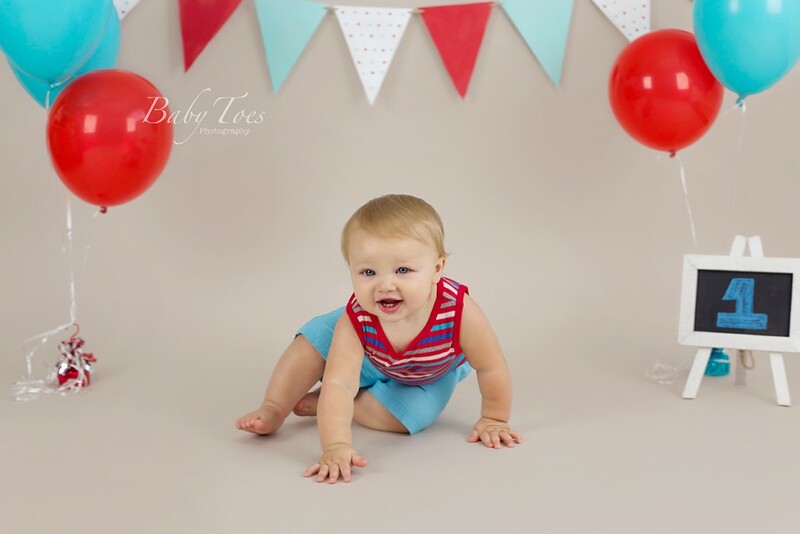 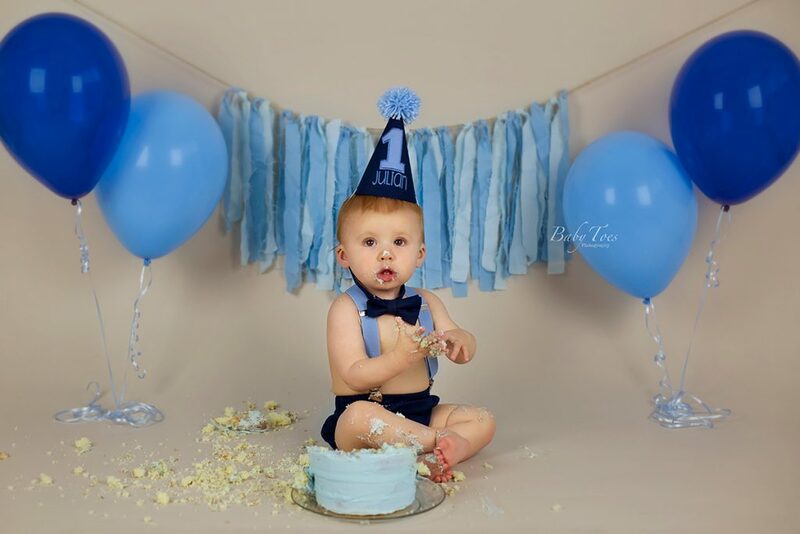 When this little guy came to see me for his One Year Session, all he wanted was his little red balloon, well at least until the cake. He didn’t mind letting that balloon go once the cake came out! 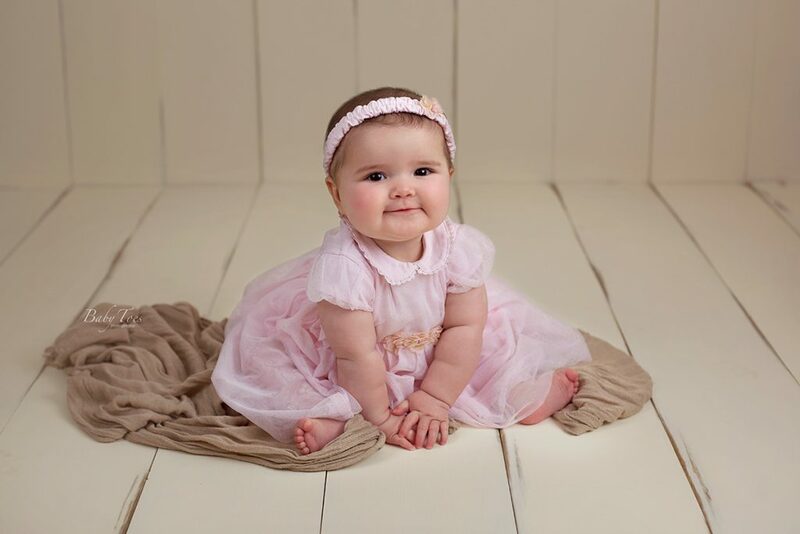 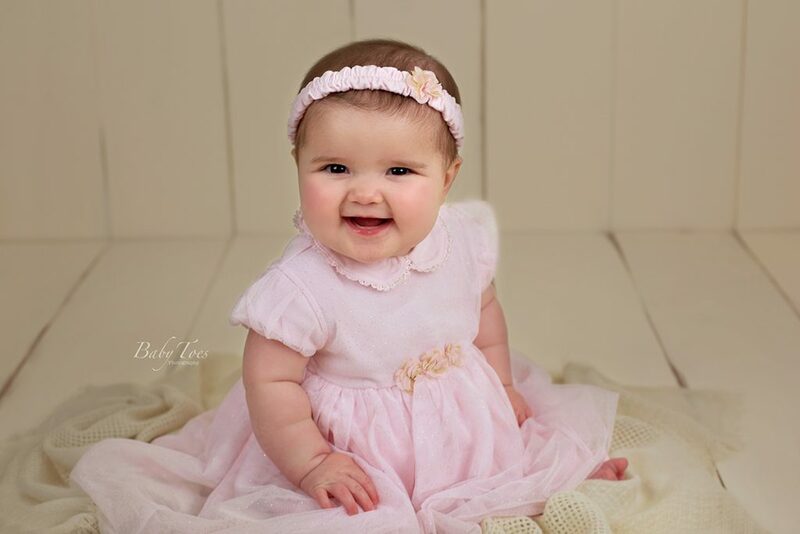 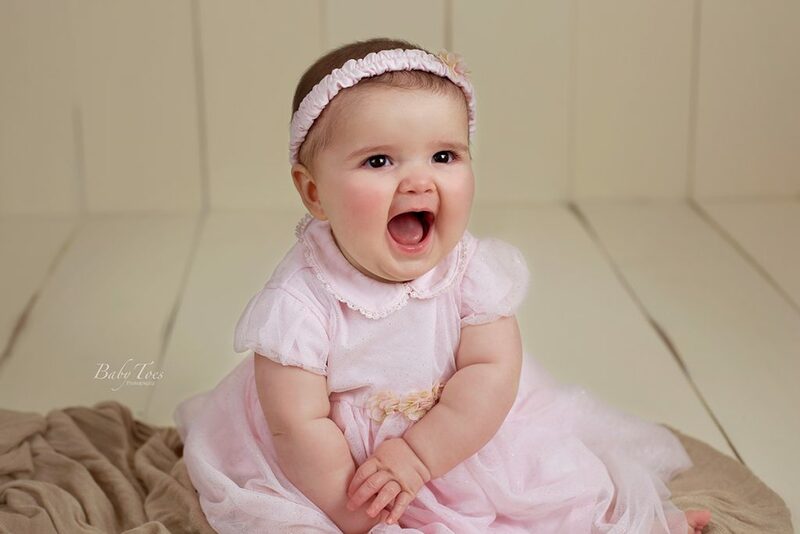 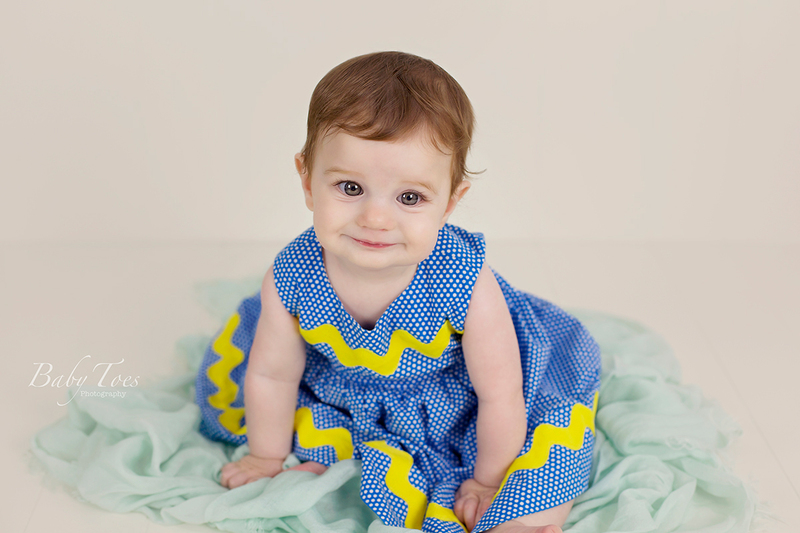 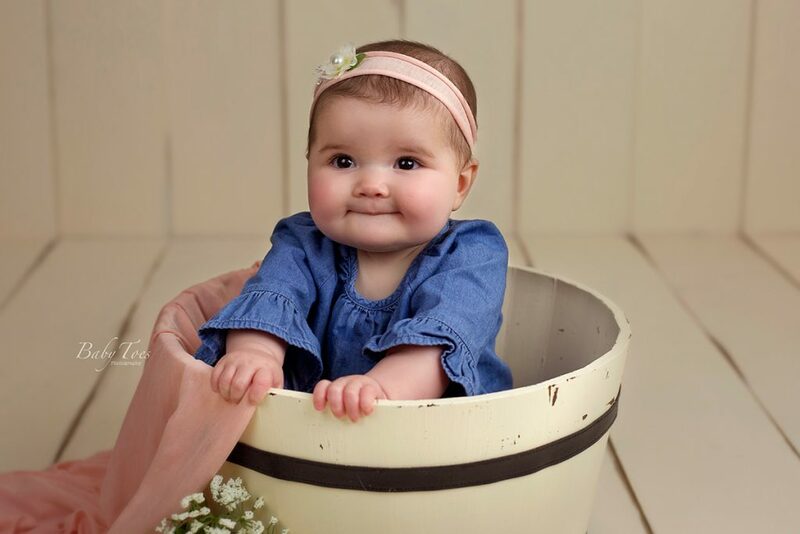 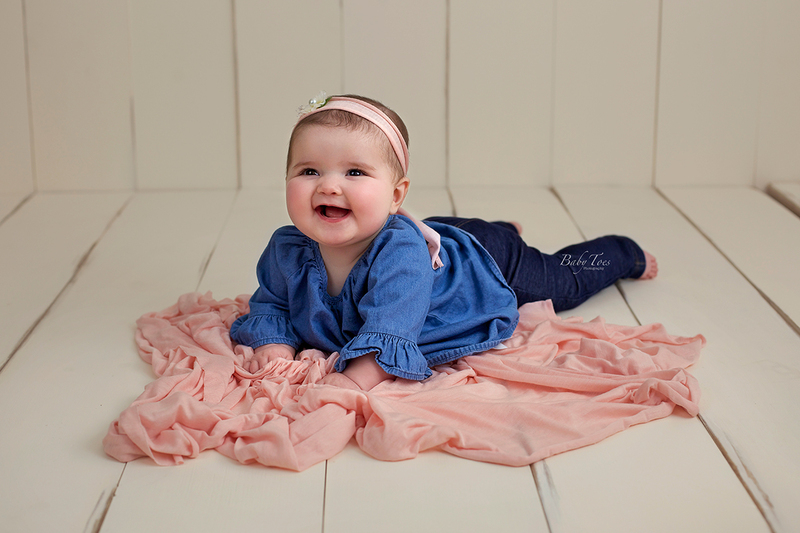 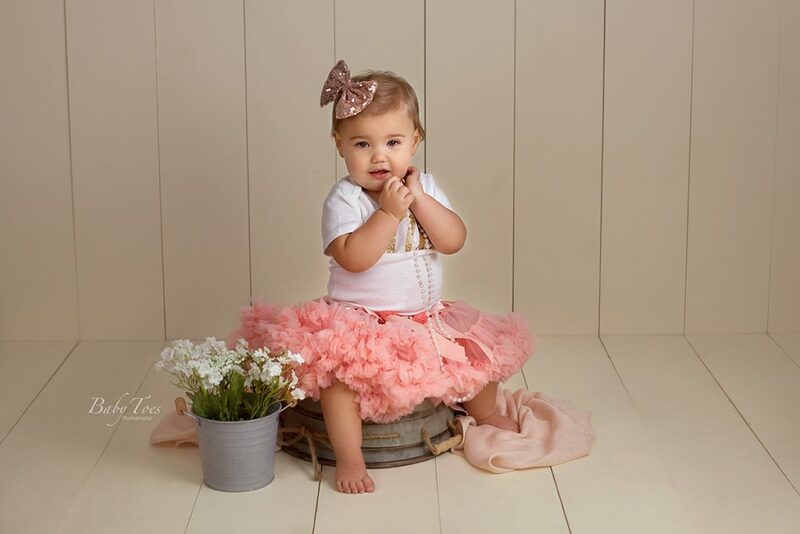 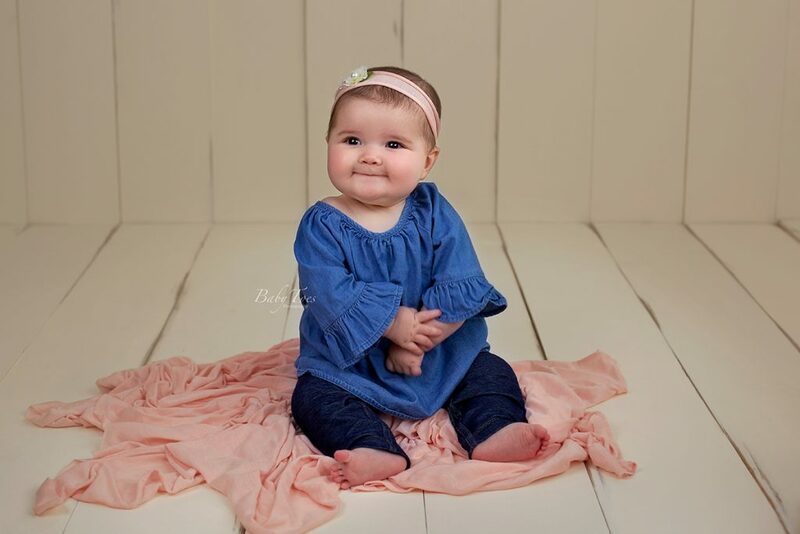 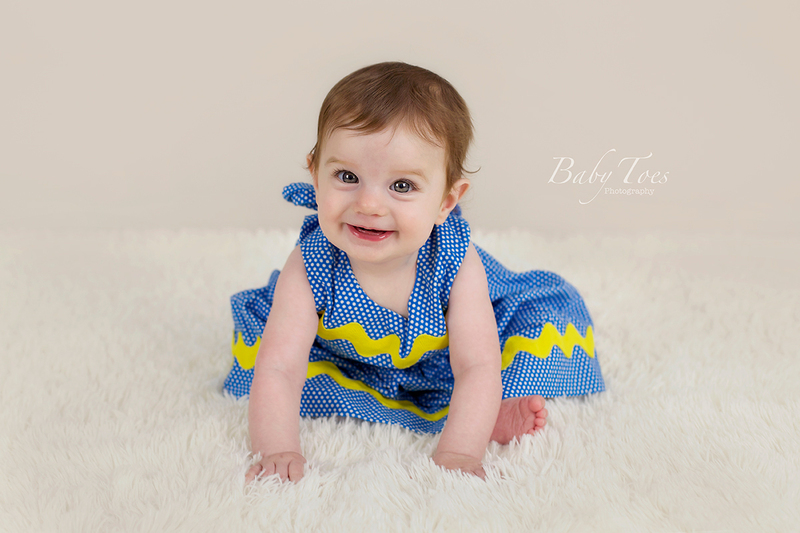 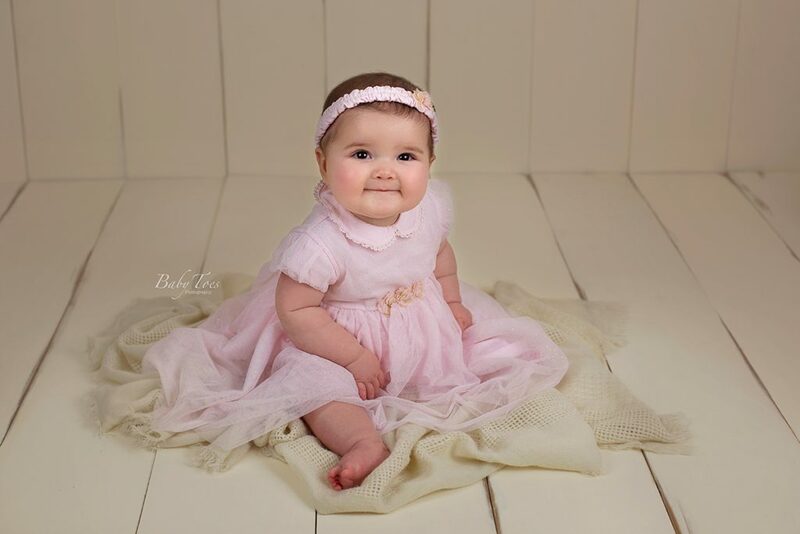 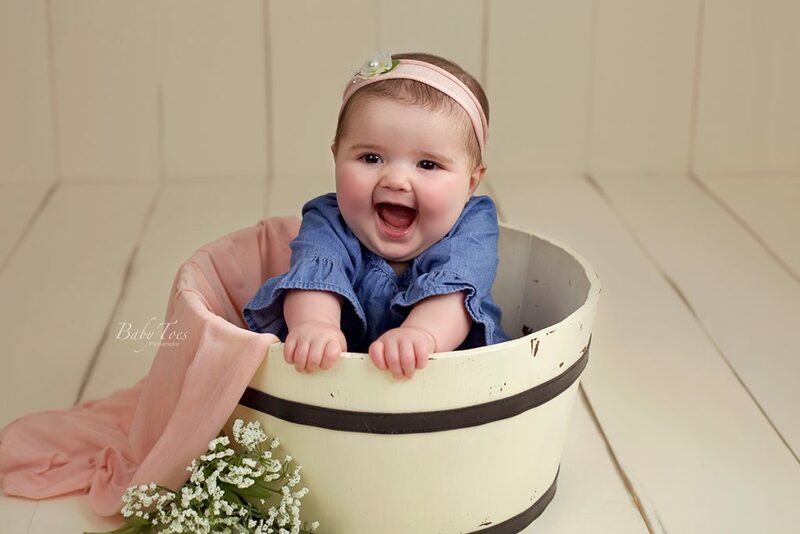 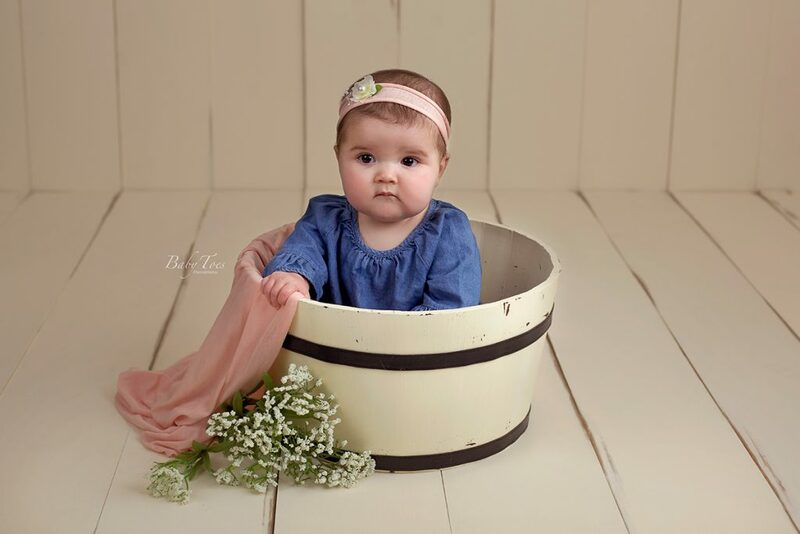 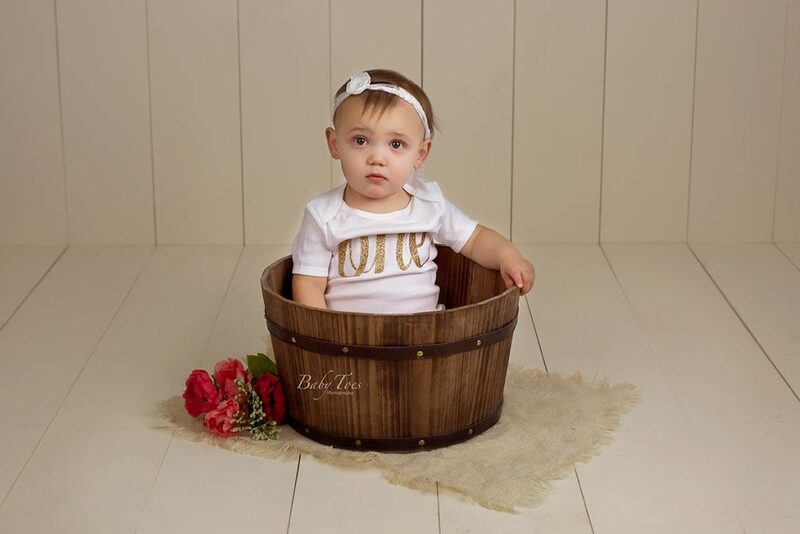 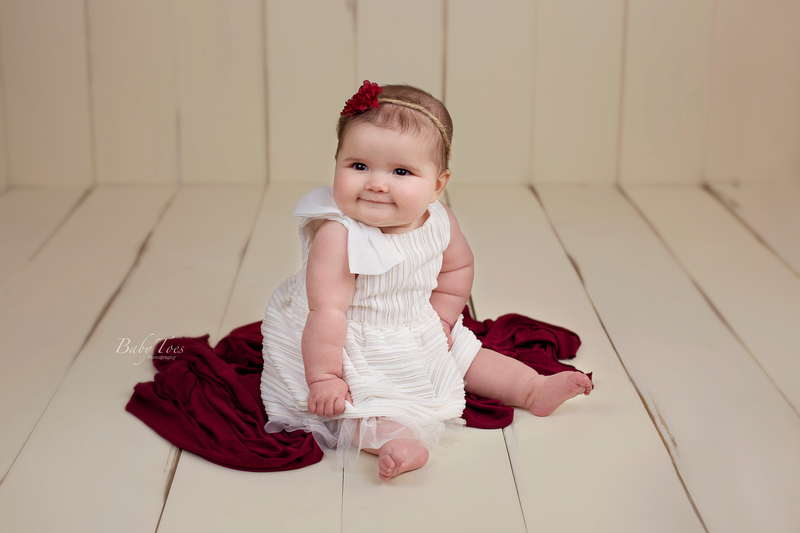 Cora came to my Roanoke studio for a milestone session when she was 7 months old. 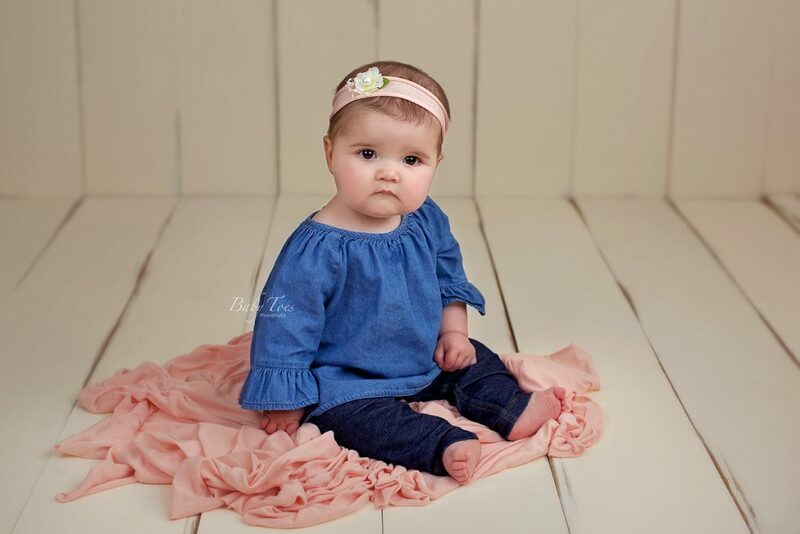 She was super serious, but I managed to get a few smiles out of her. She had the biggest, most beautiful eyes I have ever seen on a baby!